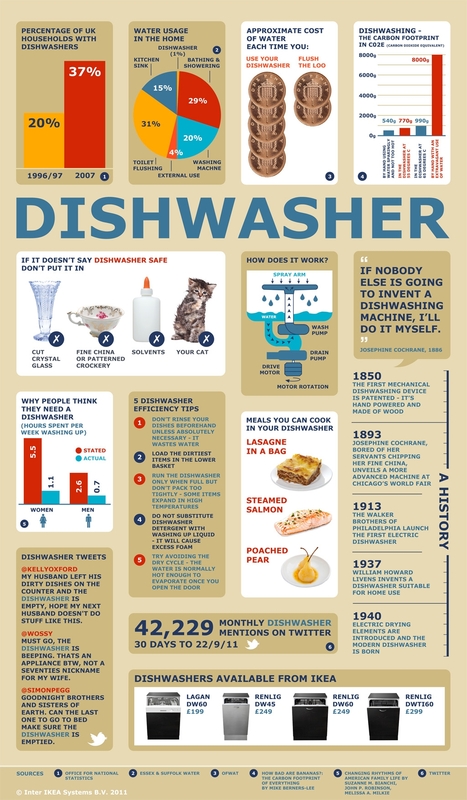 Are you lucky enough to have a dishwasher? Well, you better be using it! As it turns out, using a dishwasher may be more efficient than hand-washing. Scrape your plate, don’t rinse: Modern dishwashers do their job fantastically well. Don’t waste additional water pre-rinsing. Simply scrape off any excess food, and let your mechanical dish-buddy do its job. Use your Tetris skills: completely fill the racks to optimize water and energy use, but make sure you leave room for proper water circulation. Also, dirtier dishes on the bottom rack, please! Wait for a full load: Your dishwasher will use the same amount of resources for each load. You might as well fill it up. If it takes a few days to fill your dishwasher, check to see if you have a “rinse” and “hold” feature. This will use a small amount of water (typically 1-2 gallons) to prevent dried-on food. Skip the heat: Try the air-dry feature of your dishwasher.